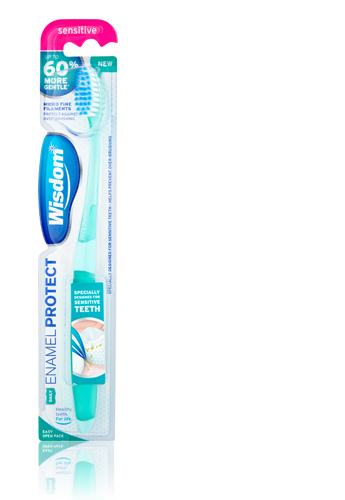 Part of the Wisdom Daily Enamel Protect oral care range. 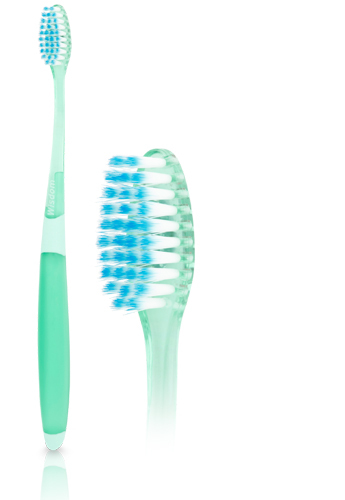 A small headed toothbrush that has been designed with micro fine filaments to protect teeth and gums against over-brushing. The tapered filaments put less pressure on teeth and gums for a more gentle clean and a softer feel. The super slim filament tips effectively remove plaque and reach between teeth for a gentle but deep clean. The gentle cleaning action helps prevent damage to enamel and gums caused by over-brushing. For best results, use with the Daily Enamel Repair toothpaste and Daily Enamel Protect mouthwash to provide everyday complete care for sensitive teeth. Specially formulated for sensitive teeth and gums.